Introducing the new Invidia ‘G5 Titan’ Titanium lightweight Exhaust Systems. 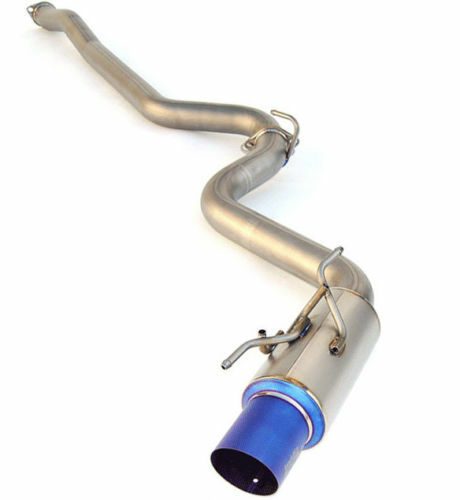 Manufactured from Grade 1 pure titanium, the Invidia G5 Titan Exhaust system ensurse optimal strength and durability whilst keeping weight to a minimum. The G5 Titan systems are manufactured using state of the art mandrel bending machines to create one continuous piece with no ‘lobster back’ bends for unrivalled exhaust gas flow. The catback weighs in at 4.6kg! Almost 18kg lighter than stock!